Rubber tracks might be a panacea for punctures, but you’ll need to keep an eye on how they run, if you want to maximise their working life. Geoff Ashcroft seeks out a few pointers. Where tyres can be looked upon as a fit-and-forget means of getting power to the ground - unless they are perhaps flat or worn smooth - rubber track drive systems need a little more care and attention. However, it is considered a small price to pay for the benefits rubber tracks offer. 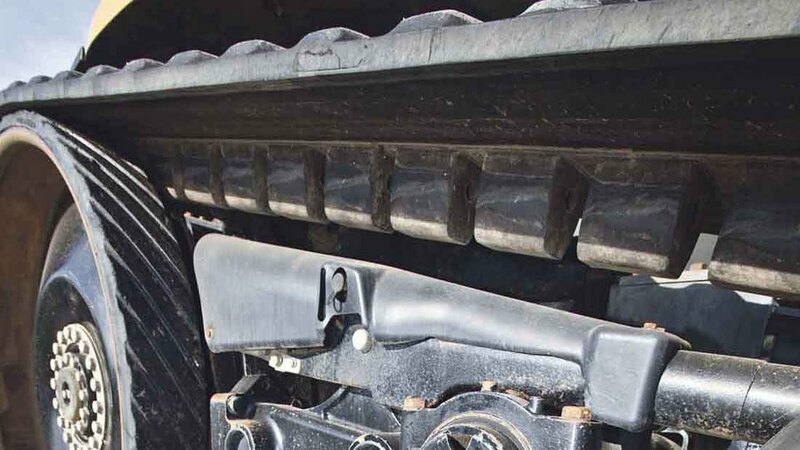 By their very nature, a rubber track running gear is more complex than a wheeled tractor, and as such requires a more diligent approach from operators if they are to make the most of performance and keep running costs under control. There are two distinct types of rubber track system – those driven by friction, and those using positively engaged lugs – which use different types of track construction. 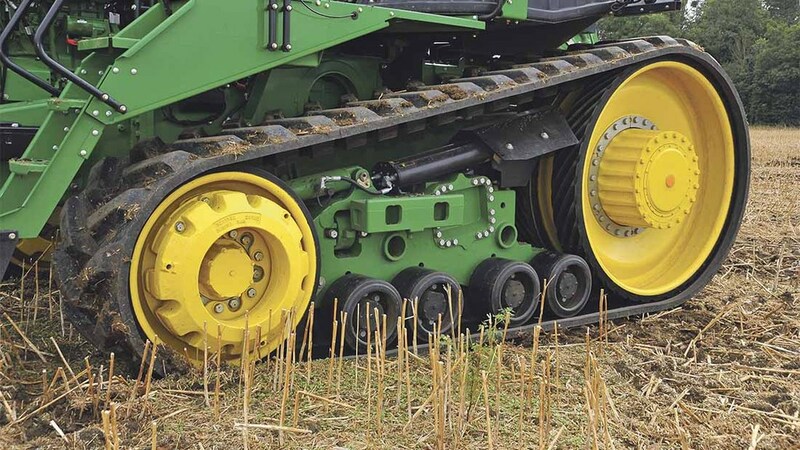 Friction drive tracks can be found on twin track machines such as Agco’s Challenger and John Deere 8RT and 9RT models for example. The track is kept under high tension, using hydraulic pressure, which can be applied through a spool valve to charge the system. Consult the operator’s handbook for the correct tensioning process, and the frequency with which it may be required. It is this tension that ensures the inside of the track stays firmly in contact with the large diameter, rubber-coated friction drive wheel at the rear. 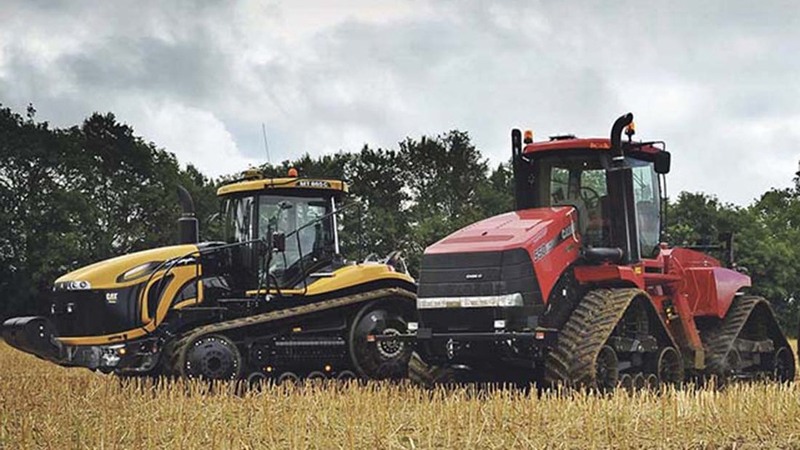 Positively driven tracks are found on four-track tractors such as the Case-IH Quadtrac, Versatile Deltra Track and Deere’s 9RX. This type of track works on the ‘tooth and sprocket’ concept, using reinforced inboard lugs on the inside of the track that engage in a cage-type steel drive wheel to provide a positive drive. Suitable tension still needs to be applied. According to Agco’s Ben Bell, the condition of the inside of a rubber track is much more critical than the outside. “While the outside of the belt and its tread bars are the obvious places that wear, it is much more critical to cast a frequent eye over the inside of a track, to see how the track carcass might be performing,” he says. He warns that cuts, grazes and exposed wires on the inside of a track are factors that will contribute to premature failure. 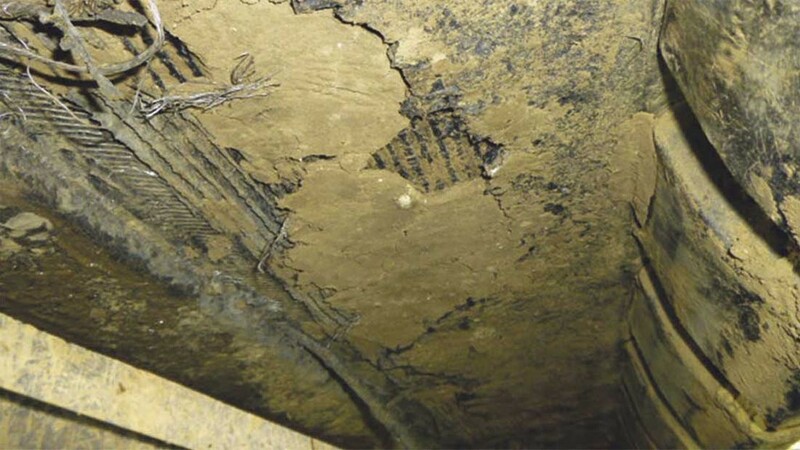 He advises that holes should be patched as soon as they are identified. “When wires are showing, you’re on borrowed time,” he adds. After initial pdi on a new machine, it is unusual for a rubber track to run out of alignment unless something’s gone a wry. However, track alignment does need to be checked – and any adjustments made – once a replacement set of tracks have been fitted. While individual tractors have their own specific adjustment processes, an out-of-true track is easily spotted, particularly on friction drive systems, as the sides of the guide lugs will wear rapidly. Component wear or replacement can influence alignment, and checking temperature on the sides of the lugs will show up any one-sided rubbing. Most track frames will run reasonably clean – dust and dirt is useful, but large pieces of debris and sharp stones, less so. Any stones pushed into the rollers or track carcass should be removed before they inflict too much damage. When new tracks have been fitted, there is a ‘break-in’ period that will help you get the most from your new rubber. Essentially, tracks need to be ‘work-hardened’ and this is where dust and dirt act as a dry lubricant to minimise heat build-up and reduce rubber stickiness. 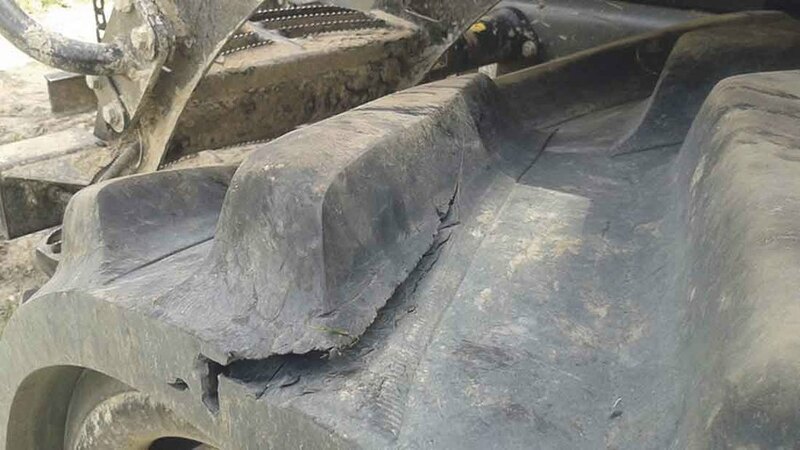 It is a point reinforced by Agco’s Ben Bell who suggests a bag of lime split between both tracks can help remove a shiny finish and maintain friction. Tracks can last a long time if road-work and stony ground have been avoided. Typically, tracks can last 3,000-5,000 hours and often double the life of tyres doing the same work, in the same conditions. On positive drive systems, ensure wheel scrapers are correctly adjusted to prevent material build-up. Excess debris can lead to lug damage and deterioration of the area where the drive wheel and track meet. Mechanical damage, side-loading and excessive torque can shorten drive lug life, according to Camso distributor Eurotrack.